In a typical brewing application, corn syrup is trucked to the plant and transferred into large, heated tanks designed to keep the fluid at the correct temperature. Corn syrup is then pumped through lines to vats for batching and deionization. Unfortunately, deionization can adversely affect the accuracy of magnetic flowmeters which use the conductivity of the fluid to measure the flow. Other meter types, such as mass Coriolis flowmeters, provide poor accuracy in low flow conditions due to the lack of zero stability For these reasons, many food and beverage producers utilizing deionized high fructose corn syrup and other low conductivity liquid sweeteners regard Flow Technology’s positive displacement flowmeters as their meter of choice. Our PD meters not only provide precise flow measurements, but with only two moving parts, are easy and inexpensive to maintain. 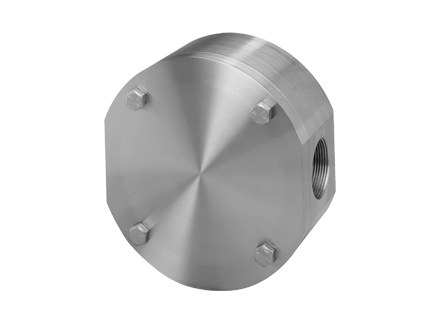 The sanitary decathlon PD flow meter represents an inexpensive, accurate and reliable solution to many batching applications.